Your KPIs shouldn’t exist in a vacuum. You can’t just shoot from the hip based on what one KPI tells you, even if that KPI comes from the best data driven attribution model that exists. When you combine several KPIs, you get the full picture. You can make better decisions based on what the totality of the data is trying to show you and create real data-driven strategies that are tailored to exactly what your store needs. One of the biggest KPIs that can help you create these strategies is customer lifetime value, or CLV, which allows you to calculate the total value a customer would contribute to your brand throughout their lifetime. When you combine CLV and data driven attribution, you get the real value the channels that are bringing in the most valuable customers. We know that all customers are valuable, but some customers are more valuable than others. Returning customers in particular cost five times less to acquire, and are responsible for40% or more of the total revenue of an ecommerce store. What’s more- returning customers tend to spend 67% more than first-time customers. Let’s sum this up: repeat customers spend more, cost less to acquire, and make up nearly half of your revenue. These customers are more valuable to you than any other, and should be the focus of your marketing budget. Calculating customer lifetime value can show you exactly who these customers are and what you can expect from retaining them. So for example, if you have a customer who spends € 50 at each purchase, and purchases twice a month, you have a customer who spends € 1200 per year at your store. If a customer is likely to be shopping with you for 7 years, you can expect that customer to offer € 8400 to your business. Subtract the cost of acquiring this customer to get the true value. Measuring this can tell you whether or not your marketing efforts are providing enough value, and which customers you should focus your budget on. At the end of the day, your goal is to have customers purchasing with you as long as possible and to reduce churn as much as you can. The higher your CLV, the higher your revenue. 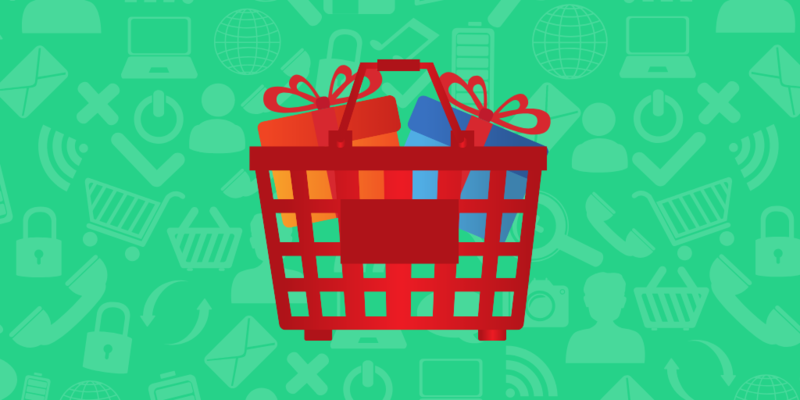 When considering your most valuable customers, it’s useful to know which channels drive their purchases. What’s even more interesting? Which channels introduce your brand to the customers who become repeat customers. There are definitely ways to measure this, and the first thing we’ll do is start with our KPIs. We can start by looking at our highest sources of repeat revenue, so we can filter that for now. Our highest non-direct channels for repeat revenue seem to be email marketing, Google retargeting ads, and organic Google search. 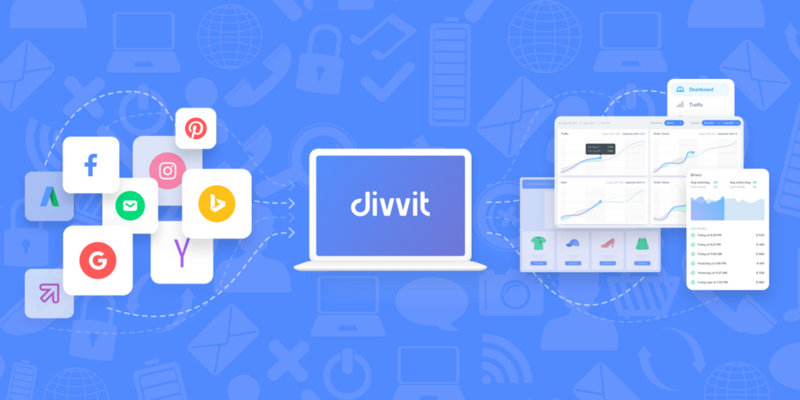 Email marketing is highly undervalued by last click attribution- coming in at £ 18,825.61 with last click, but valuing more at £ 22,887.29 using Divvit’s data driven attribution model. In fact, even the average order value coming from these repeat customers is 3% higher using data driven attribution. Google retargeting ads bring in the most repeat customers, but last click attribution slightly overvalues this channel by 1.7% compared to data driven attribution. Organic Google search is also overvalued by last click attribution, coming to about a £5 difference between the two attribution models in terms of AOV, and 8.7% in terms of revenue. It’s critical to understand the real value that a channel provides you, especially when combining marketing attribution and CLV. As AOV changes between the attribution models, the result of your customer’s lifetime value changes too. 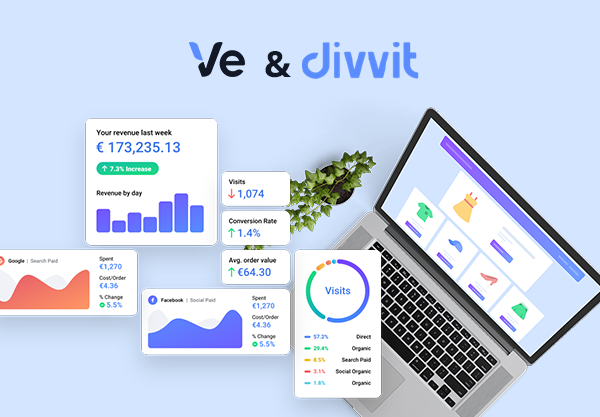 Now that we have a proper example or two to work with, let’s focus on the results from Divvit’s data driven attribution model, and figure out which channels are providing the most valuable customers. We already know that Google retargeting ads are bringing in to most repeat orders for you (291 total, which is about 22.6% of the total orders coming from this channel). We can also see it has the 2nd lowest cost/order and CAC. This channel is providing value in two ways: First, it’s the highest revenue generator for your ecommerce store. Second, it’s bringing in a healthy amount of repeat customers, who are providing quite a bit of value. So let’s calculate the CLV of a customer coming from Google retargeting ads. So our AOV is £ 69.59. We can estimate (since we don’t have the real numbers here) that the average number of purchases in one year is 15. Let’s say our customer lifetime value is 3 years. We also know that the cost/order coming from this channel is £5.42. So subtracting this, we get £ 3125.83 as our CLV coming from Google retargeting ads. Let’s compare this with the second biggest channel for repeat customers: email marketing (211 orders). Doing the same calculation, we find that the base CLV for email marketing is £3942.90. Subtracting email marketing’s cost per order is £1.07, bringing us to a net CLV of £3941.83. This is 26.1% higher than the CLV of Google retargeting ads, which is not an insignificant amount. We can safely say that email marketing, though it may not be bringing in quite as much revenue as other channels, is the channel that offers the most in terms of repeat business. We know that this channel is highly valuable. Does this mean that we should stop focusing on Google retargeting ads? It means that you have at least two powerful channels to leverage for an even higher ROI. It means that now you have enough information to create a data driven strategy to combine the power behind these channels. For example, if you know repeat business coming from email marketing has a higher potential AOV, a higher CLV, and a higher ROI, it would make sense to get customers coming in from the retargeting ads to sign up for your newsletter campaigns. So if you implemented a newsletter sign up pop up that showed 5 seconds or so after a customer arrived on your site from one of these ads, you could file them into your email marketing campaigns, which have a 26% higher CLV for your business. The biggest takeaway from this article is that just one KPI isn’t going to give you the information you need to move forward. 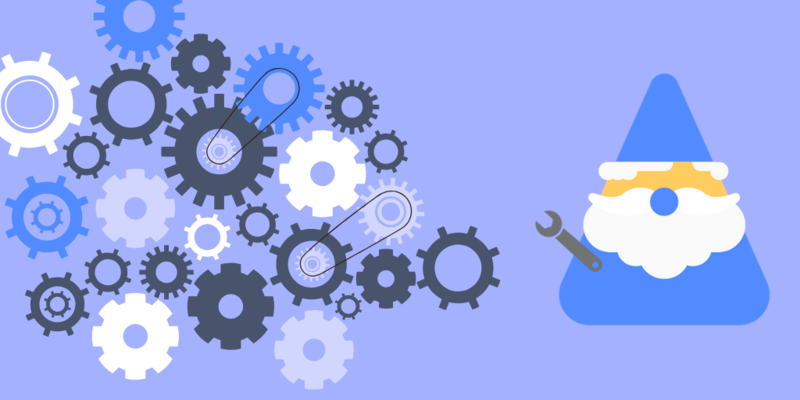 We only examined really two channels out of nearly 20 to make better decisions around this store, and we’d already figured out a strategy to pull customers to a better performing channel. We used data driven attribution to find the most valuable channels for repeat customers, and then used that attribution to determine the most valuable customers based on CLV. When you combine your KPIs correctly, you can get a better idea of what kind of strategies will work best for your customers and your store.